Producing maple syrup and value-added maple products offers an opportunity to diversify farm operations and income. A new publication, "Maple Sugaring: An Introduction to Small-Scale Commercial Production," from ATTRA provides an overview of maple sugaring, including business planning, financial considerations, marketing, equipment and supplies, value-added products, organic certification, regulations, and quality control. 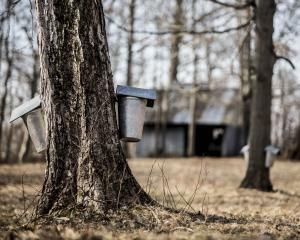 The publication also includes resources for acquiring more knowledge on maple syrup production and determining if maple sugaring is a viable addition to a farming operation. Download it free today at https://attra.ncat.org/attra-pub/summaries/summary.php?pub=578. Find information about aronia, elderberry, paw-paw, black walnuts, maple syrup, wine grapes and more.